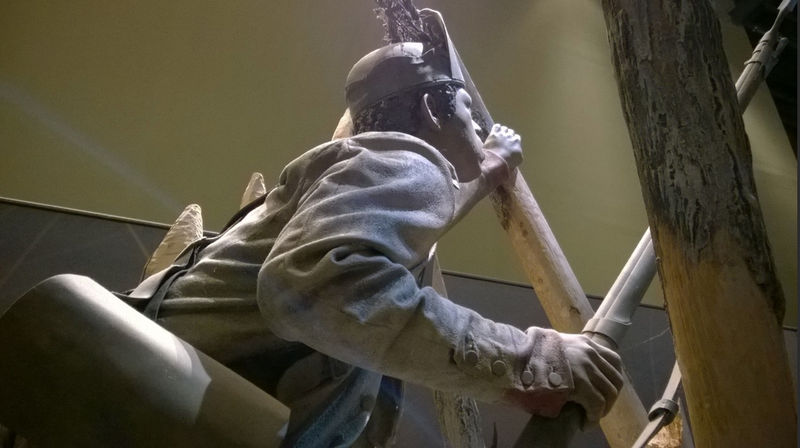 This past weekend I visited the National Infantry Museum in Columbus GA. The museum offered a number of well done exhibits covering the history of the American infantryman. We began our tour by a chronological stroll through a series of life-sized dioramas depicting significant battles in the Infantry’s history called ‘The Last Hundred Yards’. The battles included Yorktown,Antietam, Soissons, Normandy, Corregidor, Soam-Ni, LZ X-Ray, and Iraq. 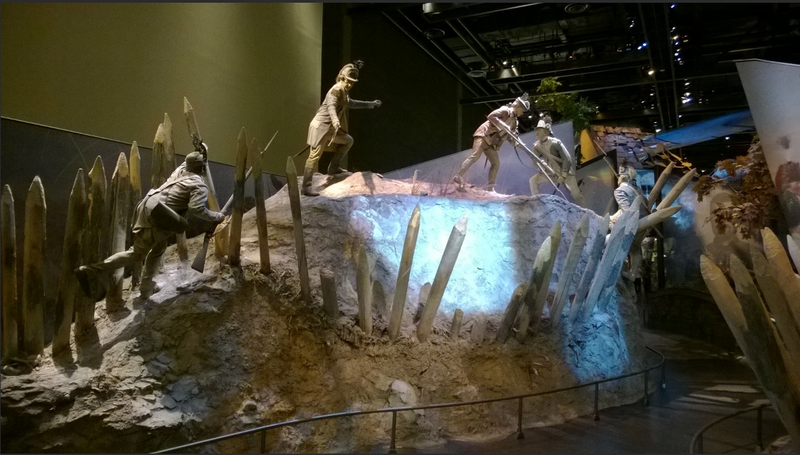 Naturally, I spent a bit longer at the first diorama. This was a depiction of the storming of redoubt #10 by Alexander Hamilton his 400 light American infantry. A nice detail here depicts an unnamed African American storming up the side of the redoubt. It is notoriously difficult for historians to pin a number on the about of African Americans in the Continental army (some volunteered, others were substitutes for their ‘owners’), but most agree that the American Revolution was the most integrated war in American history up until Vietnam. Blacks fought and died for both sides, and it is important to note their contributions and sufferings as both civilians and soldiers. It was interesting to see the balance that the museum sought to strike between an honest depiction of the horror and senselessness of war while simultaneously recognizing the sacrifices and courage of the men and women who endured it. You could easily become appalled by the realities of war, but the museum strived to balance this ugly reality by highlighting the honor, courage and sense of duty that drove American men and women into the armed services. After all, this wasn’t an Oliver Stone anti war statement, this was a Museum next to Fort Benning. Alexander Hamilton leads the American Light into the redoubt. Surrender of Lord Cornwallis by John Trumbull…and spikes!